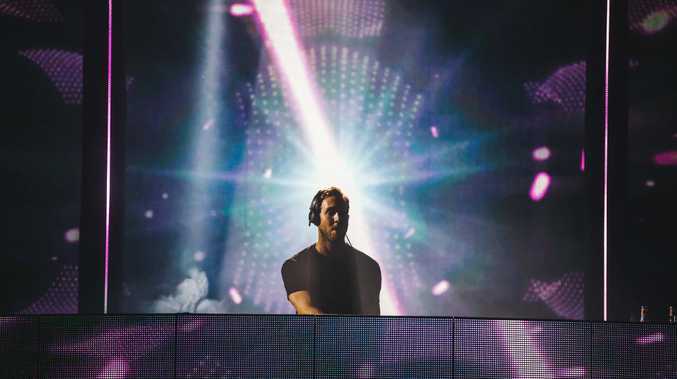 CALVIN Harris was forced to pull out of Sunday's MTV European Music Awards because of a heart scare. News that Calvin, 30, would not be appearing at the much-anticipated event in Glasgow was revealed by event organisers, who only offered a vague reason as to why the world's top earning DJ would not open the show as planned. However, Calvin has elaborated on the problem, telling his Twitter followers: "No EMAs for me this weekend. Got some heart problems. Heading home to see if it can be fixed x. (sic)"
The late decision to withdraw from the show creates a real problem for its organisers, who've had to make some last-minute adjustments. A source told the Mirror newspaper: "Obviously everybody wishes Calvin all the best for a speedy recovery - but it will take a lot of reorganisation." The show is being hosted by Nicki Minaj, who admits she's anxious about the responsibility. The 'Superbass' hitmaker said: "I was having a lot of anxiety yesterday actually because I know there is a lot of pressure and it's a big job and I always want to give my best and be amazing. "After I rehearsed yesterday I felt a lot better - it's going to be a really, really fun show."